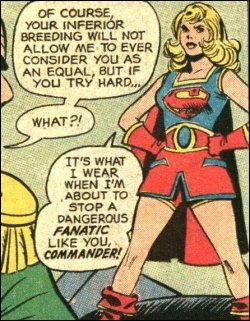 What, is that some kind of Kryptonian chastity belt? @Knight: Yes. Hence her anger. Well, at least she doesn’t have to worry about being raped!